Soak tamarind in hot water for 10 min or smash tamarind in warm water. Then prepare thick paste. Add tamarind paste into vessel add salt and 3 to 4 glass of water and boil it for 10 min. Heat oil add garlic and broken red chillies fry for 2 min. 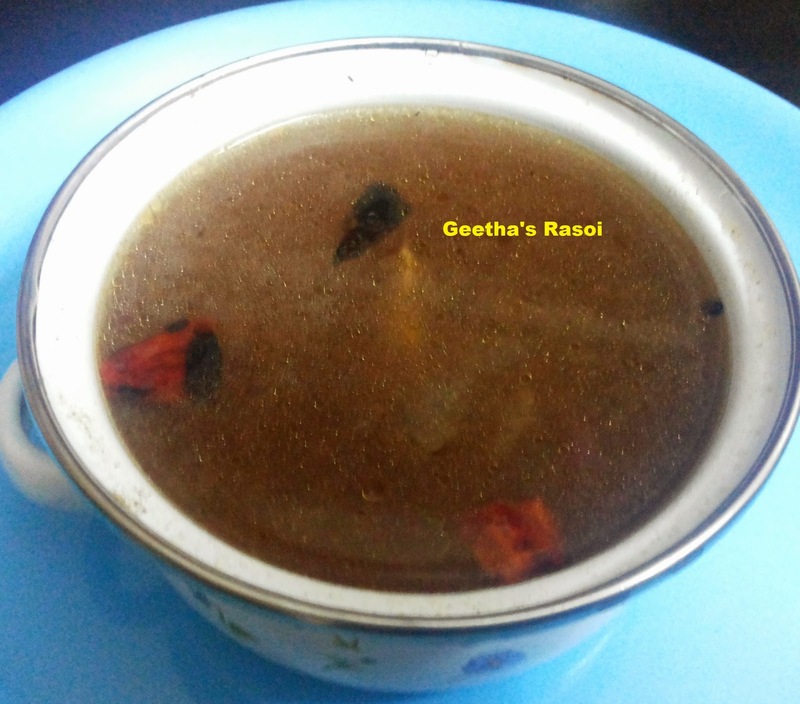 Then pour this on boiling tamarind water .Turn off the gas tamarind rasam ready to serve with rice.